Cordless electric lawn mowers are a more quiet and environmentally-friendly alternative to gas-powered mowers. They might pack a little less power under the hood, but they come with many advantages. Electric mowers are emission-free, don’t require fuel and start easily. You get by with a minimum of maintenance and cordless models are highly portable. We’ve reviewed the best cordless lawn mowers so you can get cutting! In our guide, we’ll explain how to pick the model that’s right for your needs. Let’s take a look at the top 3 choices followed by full reviews and our buyers guide. Let’s get to it! Cutting Width: 21" 20" 19"
Extras: Large 1.6 bushel basket, load-sensing technology, 3-in-1 design with mulching, battery indicator, 2 batteries + charger incl. The Snapper XD SXDWM82K is our editor’s choice for the best cordless lawn mower. It features a powerful motor and comes with a 3-in-one design. 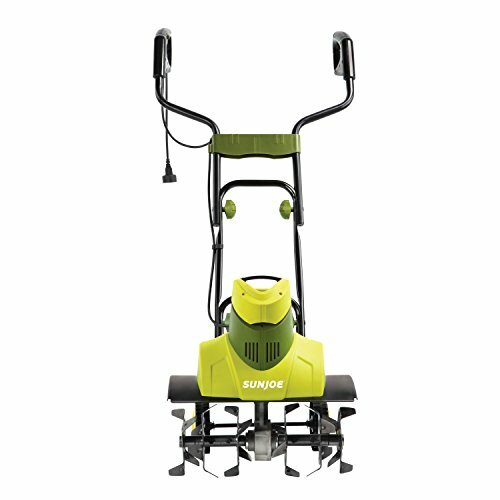 The Snapper features 21” steel mowing decks and gives you the option to choose between mulching, bagging or side discharge, whichever suits your gardening needs. A convenient grass bag for clippings with a capacity of 2.1 cubic feet (1.6 bushel) is included. You can easily adjust the cutting height to seven different selections with a single lever. Under the hood, this cordless mower sports a highly efficient brushless motor with a power of 1,200W that reliably spins the blades. Thanks to load-sensing technology, the mower adjusts the output to the actual need. This helps preserve battery capacity. The motor is powerful enough to deal with longer grass, but it cannot properly mulch wet leaves. 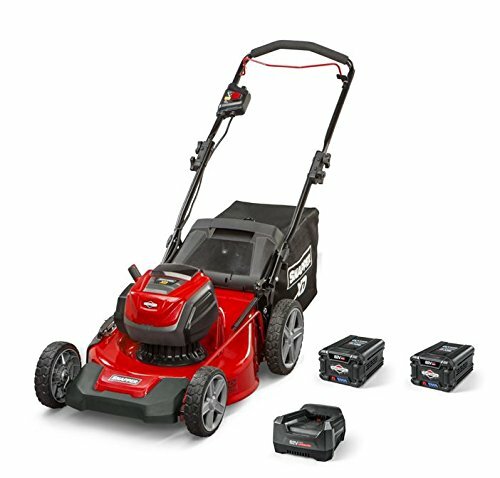 Included with the Snapper rechargeable lawn mower are two lithium-ion batteries with a 2Ah capacity. Each will give you a runtime of up to 45 minutes, while charging to full takes about one hour. A battery indicator informs you of the remaining capacity when mowing. For easy storage, the Snapper XD’s handles fold down to compact dimensions. A minor downside to this cordless lawn mower the weight. Due to its power, the Snapper is a little on the heavy side, which can make itself known during longer work. Pushing is comfortable with the ergonomic and overmolded handles. But the mower doesn’t move by itself. At a slightly higher price, you can get a self-propelled version. Snapper XD SXDWM82K cordless lawn mower is a powerful, efficient and versatile mower that offers great value for its money. The standard version of the Ego Power+ comes with a 4Ah battery, which delivers up to 45 minutes of runtime, yet charges to full capacity in a mere half hour with the included rapid charger. At a surcharge, you have the option to pick a 5Ah or 7.5Ah battery capacity if you require a longer runtime for a larger lawn. 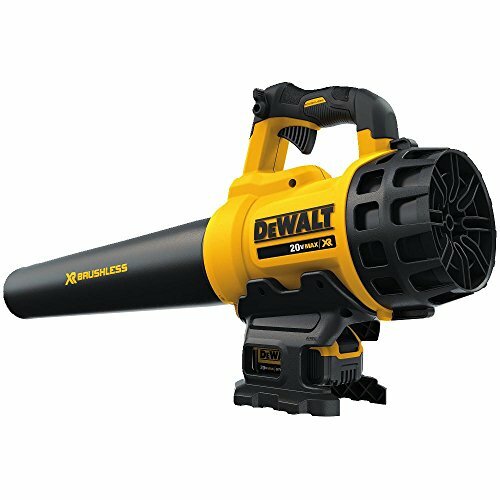 With a 600W motor and blades spinning at up to 3,300 RPM, this model is less powerful than our top pick. Yet this cordless lawn mower features enough torque for regular lawns and slightly thicker grass. You get a deck width of 20” and can adjust the trimming height between 1.2” and 3.5”. Same as our top pick, the Ego Power+ includes a basket for bagging the trimmings. With the 3-in-1 design, you can also eject the cut grass at the side or use the mulching option. A nice extra are the LED headlights, which allow you to work at dusk or in low-light conditions. This cordless mower folds up nicely into an easily-storable size. The EGO cordless lawn mower is lighter than our editor’s choice model and one of the best battery lawn mowers in it’s price range. A self-propelled model is also available. Extras: Automatic power adjustment, clippings basket, 3-in-1 design with mulching, bagging or discharge, compact storage, battery + charger incl. The Greenworks battery powered lawn mower is a budget option that still offers plenty of power and runtime for a regular size lawn. The model we’ve reviewed is the 19” version. 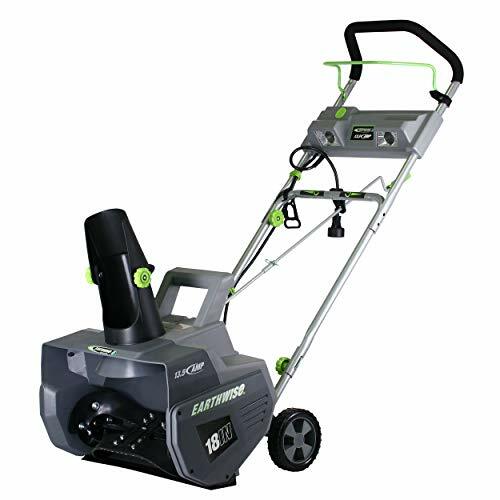 Also available are a smaller 17” version and a 19” version with a more powerful brushless motor for thicker grass. Unfortunately, the manufacturer hasn’t specified the exact rating for this model. But the motor is powerful enough for regular an thicker grass. A great feature are the two separate cutting blades, rotating both inwards against each other. This cordless lawn mower also features technology to automatically adjust the power output to the actual need, thus saving battery capacity. The mower includes both a 4Ah and 2Ah lithium-ion battery. Used one after another, they deliver a combined runtime of approximately 75 minutes – with a similar charging time. 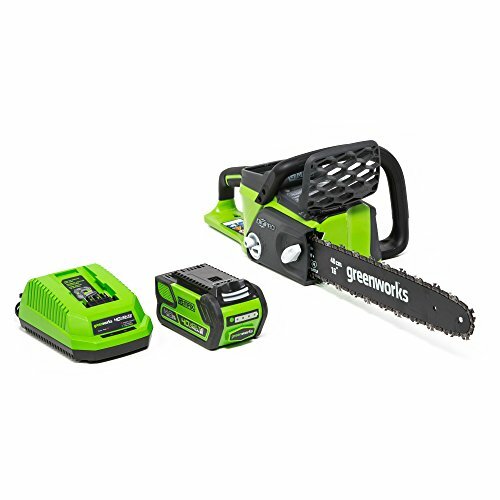 The batteries and charger are compatible with other tools of the Greenworks 40V lithium-ion line. The Greenworks mower is perfectly equipped to mow any regular suburban lawn. With a single lever, you can adjust the cutting height between 1 1/8″ and 3.5”. The 3-in-1 design allows you to collect trimmings in the included back, eject them at the side or mulch. 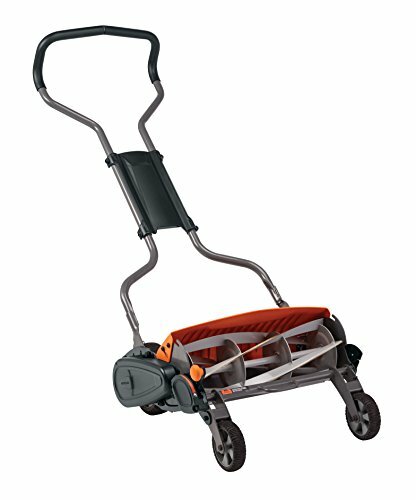 This mower is one of the most lightweight electric models and can be folded to compact dimensions. Downsides include the less powerful motor and the lack of a battery indicator at the handle. You can check the battery status by depressing a button on the battery compartment. The Greenworks cordless lawn mower is the best battery powered lawn mower under $300. It’s an adequate choice for regular trimming of a normal, small to medium-sized lawn in regular terrain. The Makita XML02Z cordless lawn mower is a small and lightweight model, yet comparatively powerful. It’s situated in the mid-price range, but does not come with batteries or charger. It’s a good choice if you already own Makita tools and compatible batteries. The Makita battery powered lawn mower runs on two 18V 5Ah lithium-ion batteries. Despite their high capacity, their lower voltage quickly depletes due to the demanding motor. The result is a powerful motor spinning at up to 3,600 RPM, but a runtime of only about 30 minutes. This means you have to be relatively quick mowing your lawn on a single charge, since the cutting width is limited to 17” only. Where the Makita cordless mower excels is the height adjustment: you can select a height between 13/16” to 2 5/16” in 13 steps. The included clippings basket can hold up to 13 gallons of trimmings and comes with a grass level indicator on the top. A dual LED battery indicator will tell you the remaining capacity for each battery. This mower cannot eject clippings at the side and has no mulching option. The Makita XML02Z is water and dust resistant. It’s a solid choice if you don’t mind paying extra for batteries and charger and are looking for the best cordless electric lawn mower! 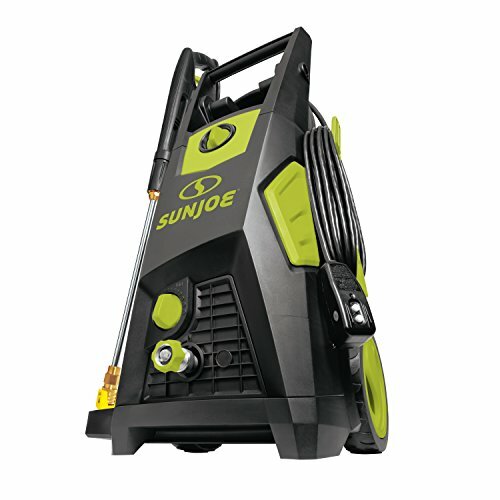 The Sun Joe iON16LM is the most compact and lightweight model in our selection, yet it features a surprisingly powerful motor. For less than $300, you get a no-frills model that is suitable for lawns 1/4 to 1/2 acre in size. The heart of this compact cordless mower is a 600W brushless motor with high efficiency and maximum output of 3,500 RPM. This means the Sun Joe can deal with thicker grass and even weeds. The actual cutting width is only 15”, which means narrower lanes. But it also allows you to maneuver easily around obstacles and handle sloped terrain better. Height adjustment is possible in 6 steps from 1.18” to 3.15”. The Snow Joe cordless lawn mower comes with a 40V 4Ah lithium-ion battery that should charge to full capacity in 60 to 75 minutes. It delivers a runtime of up to 40 minutes. There is no option for side discharge or mulching on this mower. But a clippings basket with a capacity of 9.25 gallons for trimmings is included. The mower features an ergonomic handle, folds up nicely to compact dimensions and comes with a full 2-year warranty. The Sun Joe is probably the best battery operated lawn mower for the money! Battery-powered cordless lawn mowers have made other electric and corded models obsolete. Compared to regular gas-powered lawn mowers, they feature advantages and disadvantages, which we have summarized for you below. In the following guide, we also explain the major factors you need to look at for deciding which cordless lawn mower is best for you. The power gives you an idea of how aggressive and efficient a cordless lawn mower is. A powerful motor allows you to attack thicker grass and stronger weeds. The battery influences the runtime, as a higher capacity enables you to run the mower longer. Portability and the cutting width depend on the size and weight of the model, while the cutting options tell you how versatile the mower is regarding grass height. Noise is a minor factor but worth looking at, while some models also feature noteworthy extras. However, the drawbacks are: limited mowing time (depending on battery capacity), charging time, and lower power than gas-powered mowers. Modern electric lawn mowers are nearly or just as powerful as regular models. A more powerful motor allows you to cut thicker grass and weeds. But you don’t necessarily need the most powerful model for your lawn. An area roughly the size of a tennis court is considered medium-sized, and a model of medium power would be sufficient. Accordingly, smaller and larger areas need more or less power. But you also need to factor in how often and how regularly you are going to mow. If you’ll let the grass grow longer, more power is helpful. All the cordless lawn mowers we have reviewed use lithium-ion batteries. Their features have important advantages over sealed lead acid (SLA) batteries: they charge faster, have no “charging memory” and deliver steady power. Both the voltage and the capacity are important. The more power the motor of the mower delivers, the higher the voltage should be to feed that need. The capacity indicated how fast he battery will drain. A larger capacity delivers gives you more operational minutes. Where available, we’ve also indicated the charging time for the batteries. Some models come with two batteries, so you can recharge one while continuing your yard work with the other. The larger the cutting blade or blades on a cordless lawn mower are, the wider the lane you can cut in one go. As a rule of thumb: a larger area is served better by a larger deck. If you have a smaller lawn or many obstacles such as trees, bushes or decorative objects, you’ll benefit from the greater maneuverability of a smaller, narrower and more lightweight mower. Depending on your preferences, the cutting height can be another deciding factor. Some models can cut the grass shorter than others. If you mow less often, you’ll require a more powerful motor. Several cordless lawn mowers we have reviewed come with a 3-in-1 design. This allows you to collect the trimmed grass in the included collector, eject them at the side, or mulch leaves. Mulching means the mower’s blades will shred fallen leaves on your lawn into fine pieces for fertilizing the ground. If you plan on using this feature often, we recommend our editor’s pick as it features the most powerful motor. Our editor’s choice, the Snapper XD, and the EGO Power+ folded to compact dimensions. Only one manufacturer specified the actual noise level of their cordless lawn mower. In general, electric mowers are fare less noisy than gas-powered ones and tend to stay below 100 dB. Under extras, we have listed other factors for each model, such as the included warranty and other components that come with the mower. Q: How does a cordless lawn mower work? A: Just like regular gas-powered lawn mowers, electric models feature a motor that powers a set of rotating blades at the bottom. As you push the mower over your lawn, the grass is cut by the spinning blades and is usually collected in a basket behind the mower. The difference is that electric mowers are battery-powered. There is no engine running to work the motor. Q: What are the benefits and drawbacks of cordless lawn mowers? A: Electric cordless lawn mowers are popular because they are low on noise and emission-free and therefore eco-friendly. They require little maintenance and provide good mobility in contrast to corded mowers. However, compared to gas-powered mowers, they’re less powerful and are limited by battery capacity and charging time. Q: Are cordless lawn mowers waterproof? A: These mowers are electric equipment and should not be exposed to excess water. They can withstand a slight drizzle and a few splashes, but they are neither meant to be operated in rain nor for driving through puddles. Protect the battery and electrical parts from water entry and follow care instructions. Q: What maintenance does a cordless lawn mower require? A: To protect the mower from rain and the elements, you should not leave it out in the yard. 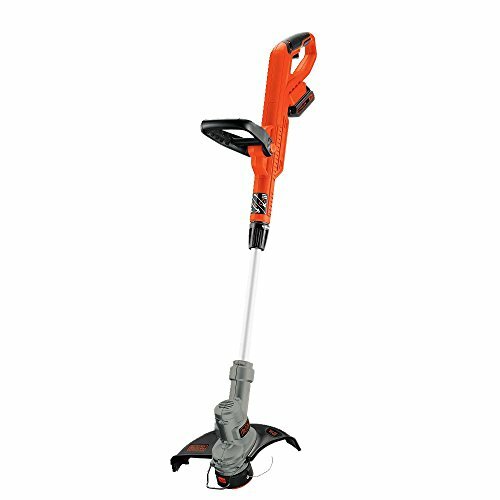 Same as with a regular model, avoid running over stones, roots, garden paths and large debris or highly uneven terrain to not damage the blades. Follow the provide instructions regarding maintenance, upkeep and taking care of the battery. If used correctly, cordless lawn mowers require very little maintenance apart from occasional cleaning and charging the battery. Q: Is there any other equipment that I need? A: All the cordless lawn mowers we’ve reviewed come with a basket for collecting the trimmings, so you won’t have to rake them up. Even though noise levels are low for electric mowers, we recommend protection such as the Neiko Safety Ear Muffs or the Mpow Noise Reduction Safety Ear Muffs to protect your hearing during use. Keep in mind that depending on your garden or property, there might be parts of your lawn you can’t reach and require garden shears or an edge trimmer. Electric cordless lawn mowers are a great alternative to gas-powered mowers. In order to select the right one for your needs, start with your lawn size and think about how often you’ll mow. Match the run time of the mower to your estimate so you can ideally finish the job without having to recharge. Also match the power to your grass type, and consider extra features such as mulching. With our guide, you’ll be able to pick the best cordless lawn mower from our top selections.